Glenn Schwartzberg's Essbase Blog: do you want to be a star Data Star? Today, I'm going to talk about data load rules in OAC. 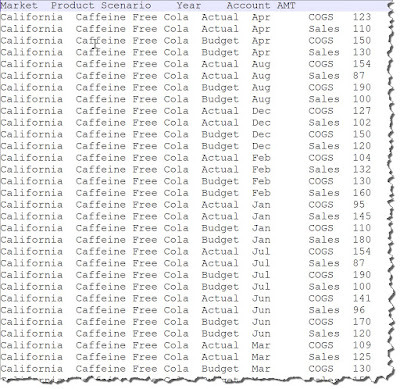 In Particular, how to create a data column in a data load rule. How you do this in OAC is different from On-Prem. First a bit of background. If you have a file that has all of the dimensions designated followed by a single data column like the below tab delimited file (Note, this file is not in optimal loading format. 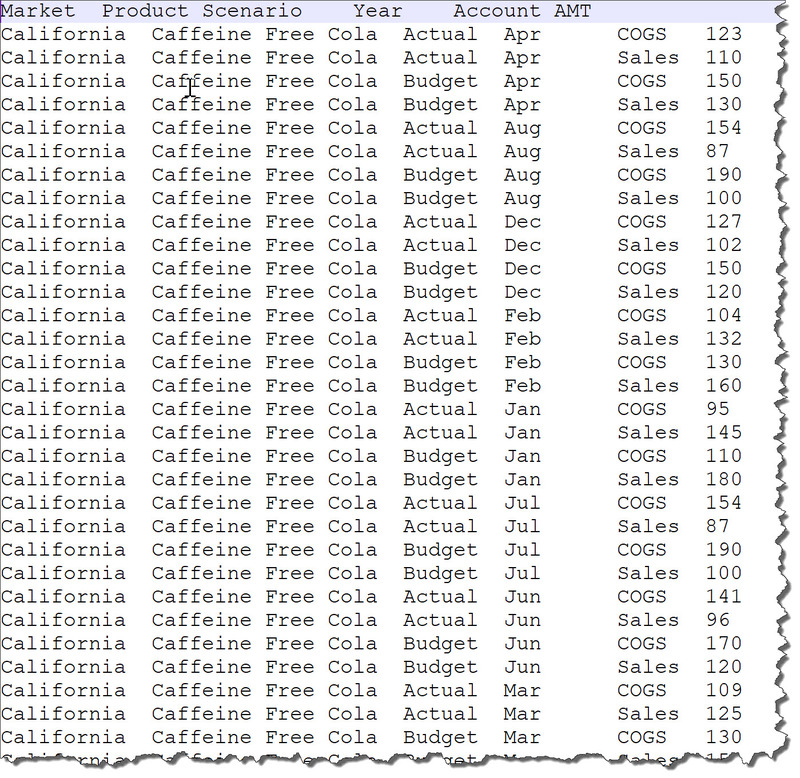 It is structured this way so you can see a representative set of data columns). In the on-prem rule editor, you would select the column and click a little check box to say it is a data column. It is different in OAC. So how do we do it in OAC? Then something new. Data Dimension. If you select a dimension in the drop down, in the data load , you will be able to select members from that dimension to be column values. If you want to have a data column, don't select anything in the drop down. You will see why later. Then select you data file. I will use the file I showed earlier. on-prem as I can select the columns without having to go somewhere else. IMPORTANT NOTE: IN PATCHES .115 AND BEFORE THERE IS A BUG. DO NOT CLICK ON THE VALIDATE BUTTON OR THE LOAD RULE WILL NOT WORK PROPERLY. Just save and close the load rule. This issue will be fixed in the next release.